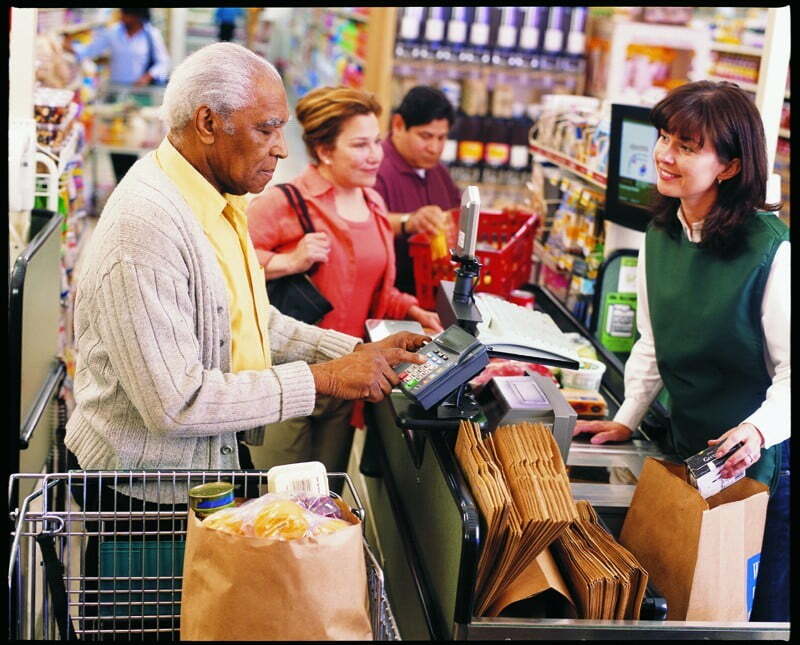 Few experiences can be as complex and challenging as grocery shopping. Add to the dizzying number of aisles and products the difficulty of getting just the right amount for one—everything you need for the week, but not so much that it spoils—and it’s easy to become frustrated. It doesn’t need to be this way. In fact, shopping for groceries should be inspiring, whether you intend to cook simple meals or want to test your culinary skills. 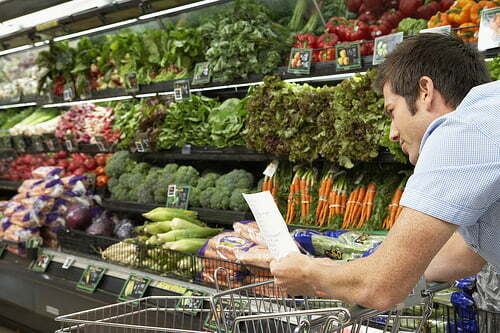 Our ultimate healthy grocery list for one provides a starting point for every cook. Apart from specific ingredients, there are a few overarching principles to keep in mind when composing a healthy grocery list. First, remember that cooking is almost always healthier than eating out, especially when considering the choices that typically dot city thoroughfares, so congratulate yourself for the effort! Second, “healthy” will mean different things to different people, but if you’re looking to maintain a healthy heart, simply lower your consumption of animal fats—meats, cheeses, and other dairy products—which are the only sources of harmful cholesterol. Finally, to ensure you don’t just use but love your healthy grocery list, shop for local Maryland produce when it’s at its best. You’ll be amazed at the exceptional quality of local ingredients purchased in season. We’ve divided our list based on sections of the grocery store: produce, meats, dairy, and interior aisles. Try to spend more time purchasing items along the perimeter of the store, which will stock your pantry and refrigerator with more whole foods and fewer processed products. [ ] 12 oz. baby spinach. Spinach is a great source of Vitamin A and iron. While spinach is always a healthy choice for a salad, it’s also a quick and easy vegetable to sauté. Unlike some salad greens, spinach gives you a way to use it even if you don’t want a salad, or if it’s beginning to wilt in the refrigerator. [ ] 12 oz. baby carrots. Like spinach, baby carrots can be eaten raw on salads, or they can make for a healthy snack. Carrots can last for weeks in the refrigerator and can always be cooked as a hot side, if you prefer. [ ] Seasonally available fresh vegetables. When it comes to adding some “goodies” to your spinach salad, opt for the mushrooms, radishes, tomatoes, or whatever else is in season where you live. Picking produce seasonally will ensure variety in your meals and expose you to new ingredients. [ ] Seasonally available fresh fruit. Fresh fruit is the perfect snack, and while some fruits such as apples are available year round, others like strawberries or cherries may have a few prime weeks during the year. To get the sweetest fruit, consult a guide that will help you know what to look for at your local grocer. [ ] 8 oz. salmon filet. Salmon is versatile, easy to cook, and healthy. Eight ounces should be plenty for two nights. Dress the salmon with simple salt, pepper, and lemon, or use a favorite salad dressing. [ ] 12 oz. chicken breasts or thighs. Like salmon, chicken can be prepared in a thousand ways. Chicken thighs have more fat than breast meat, making them the better choice for dry cooking methods like grilling. [ ] 6 oz. roast turkey deli meat. Turkey deli meat offers a ready source of protein for when you may not feel up to cooking. It can be sliced over a salad, made into sandwich, or even thrown into a quick turkey soup. It typically has a longer shelf life than raw meat. While turkey deli meat has an extremely low fat content, be aware that it’s often high in sodium. Additionally, choose roasted over smoked turkey breast, as smoked meats are associated with an increased risk of esophageal cancer. [ ] 1 pork tenderloin. When you’re looking for a change of pace, a pork tenderloin is a great way to eat a healthy, flavorful protein. A single pork tenderloin can provide three meals worth of protein. [ ] Half gallon reduced fat or skim milk. Full-fat milk contains 3.25% dairy fat. 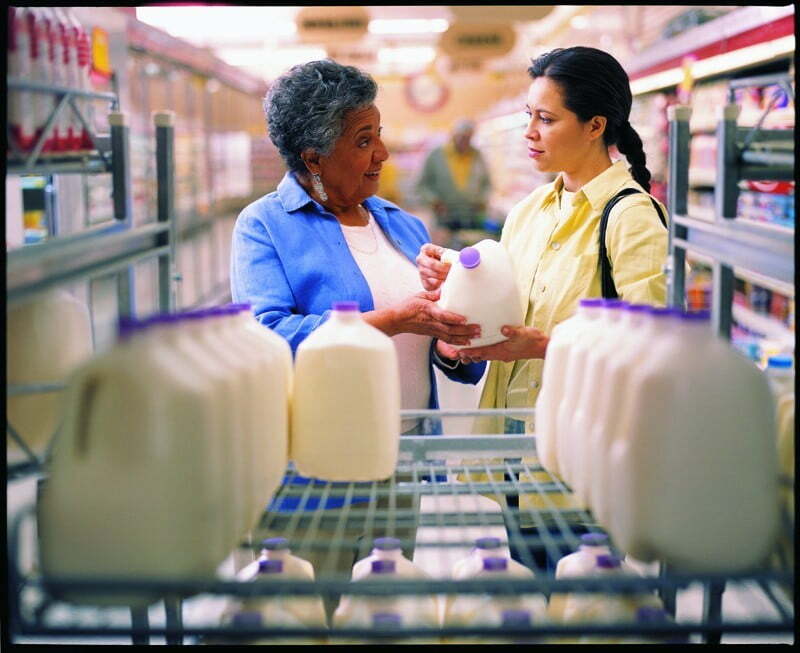 Reduced fat milk may be 2%, 1%, or 1/2%. Skim milk contains no fat. If you’re accustomed to drinking full fat milk, consider gradually reducing the fat content in your milk to gradually transition to a more heart-healthy option. [ ] 6 oz. Parmesan cheese. Like most hard cheeses, Parmesan cheese contains less dairy fat than softer cheeses. It also lasts longer, making it a great staple for your refrigerator to grate over a salad, chicken, or just about anything. High-quality Parmesan cheese (labeled Parmigiano Reggiano) will have a tangy, salty flavor that gives more spark to your meals, even if you use small amounts. [ ] 16 oz. plain Greek yogurt. Greek yogurt makes for a great protein-rich snack and is an essential for any healthy grocery list. Purchasing plain yogurt allows you to control the amount of sugar you add. You may find that fresh fruit or even a teaspoon of honey or agave syrup is plenty for you to enjoy the yogurt. Alternatively, add savory seasonings to plain Greek yogurt to create a dipping sauce for baby carrots or other vegetables. [ ] 1 loaf whole grain bread. Whether you want to have morning toast or a lunchtime turkey sandwich, keeping a loaf of whole grain bread around your home provides a fiber-rich carbohydrate choice. 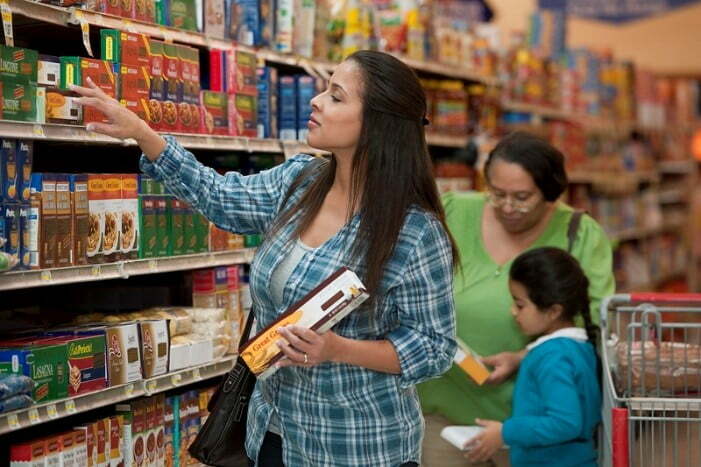 When looking at the labels of whole grain bread, find a loaf with several grams of fiber and few grams of sugar. [ ] 2 cans black beans. Beans are one of the best protein alternatives to meat and fish, giving you an easy way to incorporate a vegetarian dinner or two into your diet. Beans are also an incredibly versatile food and can be sprinkled over a salad, formed into cakes, or added to soups and stews. [ ] 16 oz. olive oil. Olive oil is known to be one of the healthiest cooking oils, but don’t feel compelled to add expensive extra virgin olive oil to your healthy grocery list, as the heat will cook out many of the oil’s nuances. On the other hand, it may be worth buying a small bottle of the good stuff to mix into homemade salad dressings. [ ] 12 oz. balsamic vinegar. Balsamic vinegar can add a blend of sweetness and acidity to any plate of vegetables or protein. It’s also a perfect blending component to make your own salad dressings: just stir together two parts olive oil and one part balsamic vinegar to make a healthier topping for salads compared to many sugar-laden bottled dressings. [ ] Frozen fruits and vegetables. 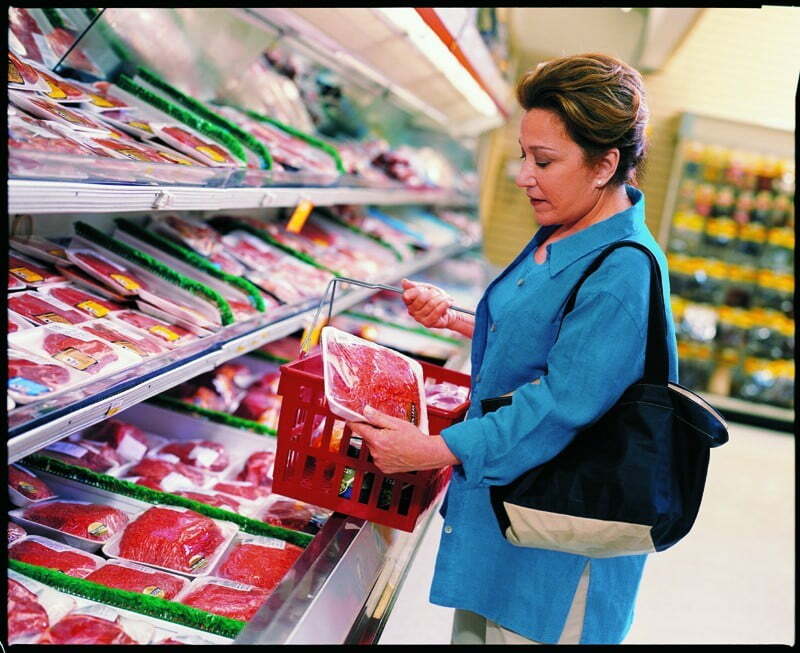 Frozen items typically offer a full year or storage, are precut into bite-size portions, and are picked and packed at the peak of freshness. Find your favorites and stock up! There is no perfect, static grocery list because any list that doesn’t change from month to month fails to take advantage of local produce and other seasonally available items. Still, having a core list of items gives you the ultimate healthy grocery list to which you can add or subtract foods based on the season and your palate. What’s more, the versatility and durability of these ingredients makes them exceptional choices when you’re cooking for one—while still providing endless possibilities for quick, healthy, and memorable meals for guests.